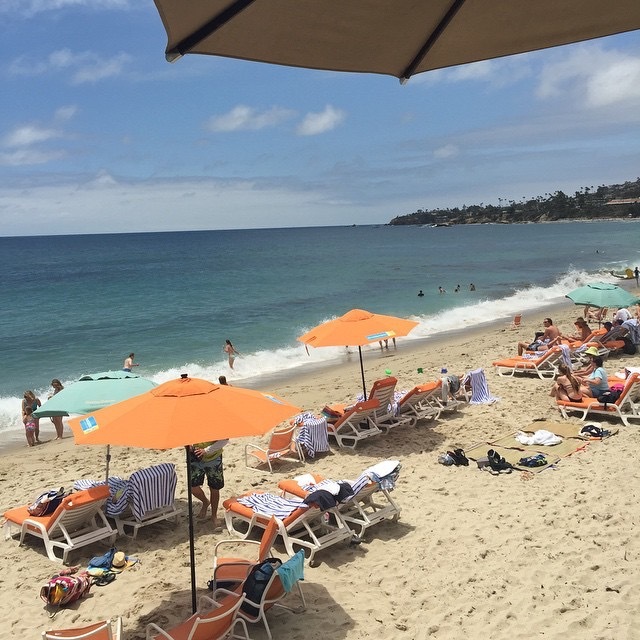 A few weeks ago I had the opportunity to check out the Pacific Edge Hotel in Laguna Beach. I love Southern California and the Pacific Edge Hotel is pure Southern California. It’s a beautiful beach front hotel, with the most pristine waterfront beach. It’s absolute paradise! The Pacific Edge Hotel has the most amazing beach! I’ve stayed at the hotel a few times before and let me just say that it is hands down one of my favorite hotels in the world. It is an amazing place and I love to stay there at least once a year. Two years ago we stayed there all of Spring Break and it was such an amazing stay. I can’t wait to do it again. Sometimes it’s hard to get away for more than a day and one day is all you have. I call this, daycationing. The kids and I packed a bag and headed down to the Pacific Edge for a beautiful daycation in one of their beautiful bungalows. 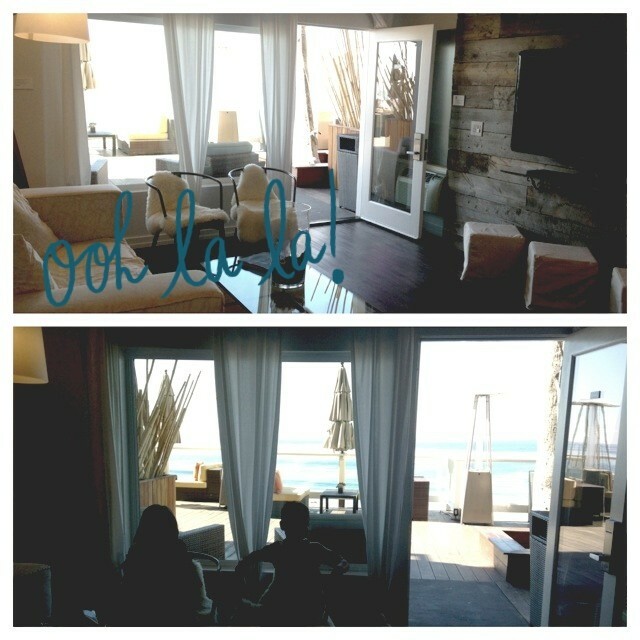 The private, beachfront Bungalows are perfect for the most amazing day at the beach or to celebrate a special occasion. I’m turning 40 in a two months and am planning on celebrating my birthday there. Words or photos can’t really begin to describe how magical the bungalows really are. Each bungalow includes a comfortable living room that overlooks the ocean, a VIP Bungalow Host, a private bathroom with shower, bar area, valet parking, catered food and beverages, and a private deck area. You can order food from the Deck Restaurant. The food my friends is out of this world. My kiddos were in absolute heaven!! You can rent one Bungalow for up to ten guests, or reserve all five for a very special oceanfront event. Fully private bungalow with keyed access from 11 a.m. to 8 p.m. The Deck restaurant has quite the menu. I would eat there everyday if I could. 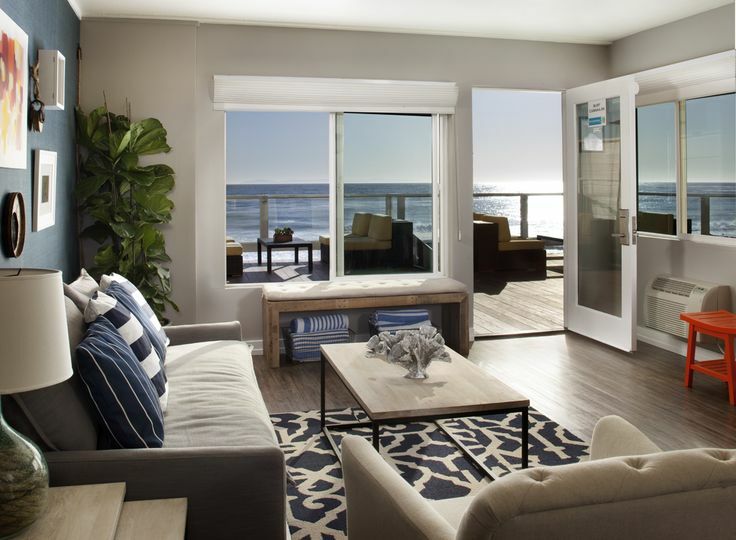 The Bungalows also have direct access to the Pacific Edge Beach. You won’t ever have to worry about bringing towels, sand toys, or a chair. Everything is provided for you by a beach concierge. It is the ultimate beach trip. I remember watching the kiddos playing on the sand and having to pinch myself. I felt like I was at an exclusive resort in Hawaii. Bungalow day rates start at $250 for weekdays and $450 on weekends, not including food & beverage minimums, and are subject to availability. Rates also vary by season. You can share with 10 to 12 people and I think it’s perfect to split the cost with a group of friends. It is an incredible experience. We’re excited to be able to giveaway a Bungalow daycation to one very lucky reader. Just click on the rafflecopter widget below and you’ll be entered for a chance to stay at this incredible place. Good luck friends! This is one giveaway I wish I could enter! 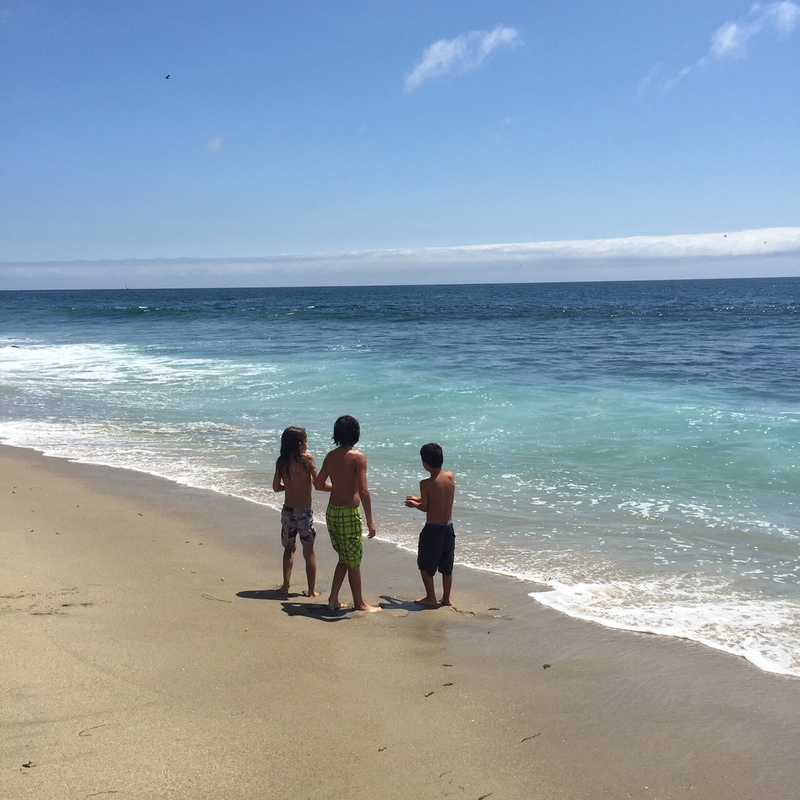 This entry was posted in Laguna Beach, Uncategorized and tagged #PacificEdgeHotel, daycation, Laguna Beach. I’m always on the lookout for fun things to do with my kiddos. My kiddos both love to cook and my daughter had the opportunity to attend a culinary camp last Summer that she absolutely loved. When I heard from another mom that Williams-Sonoma offered classes, I couldn’t wait to check them out. When I heard that they were free, I think I did a little dance. Last Saturday we woke up earlier than usual and headed to our local Williams-Sonoma to check out one of their FREE Junior Chef Classes. The first thing you have to do is to call your local store to save a spot for them. Reservations are open every Monday for weekend classes. The Junior Chef are offered every Saturday and Sunday. Classes fill up quickly and you want to make sure you call early to reserve your spot. Each month has a new theme. The classes in August will feature Italian recipes. Classes are geared for kids 8 to 13 or 5 to13. It all depends on the complexity of the recipes. Each class is about 45 minutes long and really fun for the kiddos. Parents can browse the aisles or stay and learn a thing or two. My kiddos had a blast and can’t wait to check out another class soon. It’s a fun and inexpensive way to expose your kiddos to the culinary world. To learn more about the Junior Chef Classes head here. Enjoy! This entry was posted in Free Williams-Sonoma Kids Culinary Classes and tagged Williams Sonoma Free Kids Classes, Williams-Sonoma, Williams-Sonoma Junior Chef Classes. 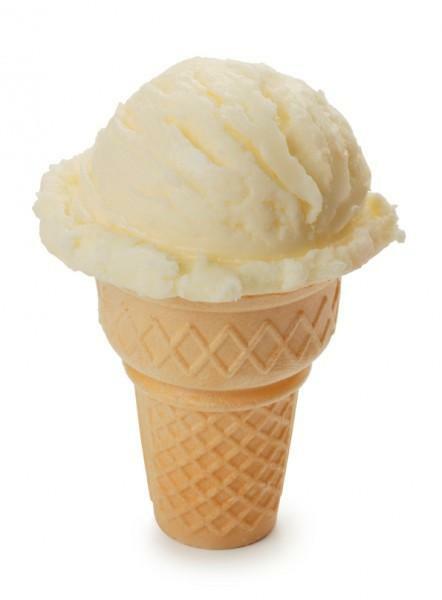 The kiddos might be going back to school soon, but until then, it’s still National Ice Cream Month! When the weather gets this hot, is there really anything better than ice cream? 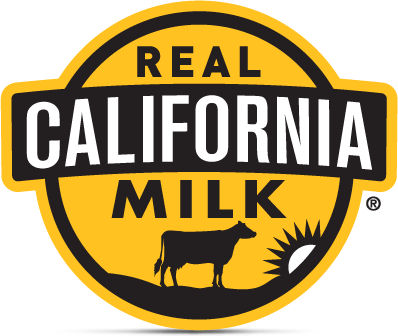 My Did you know that California is the country’s leading producer of milk, ice cream, butter, nonfat dry milk and whey protein concentrate? Our dairy cows are busy women and contribute greatly to the country’s milk supply. Place the second cookie on top. (For the best-looking sandwich, put the topside of each cookie facing out.) 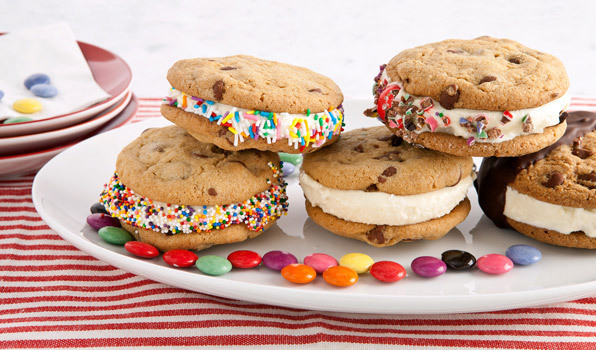 Gently press the top cookie down to create a solid connection between ice cream and cookies. If you like, use the knife to clean up the edges of the ice cream. You can also roll the edges in sprinkles. Take a bite of the sweetest sandwich in this book! There are a number of ways to enjoy ice cream featuring the Real California Milk seal – from milkshakes and ice cream sandwiches to plain, good ole ice cream! For recipe ideas, visit the Real California Milk website at realcaliforniamilk.com/our-food or the ‘Real California Recipes’ online cookbook. 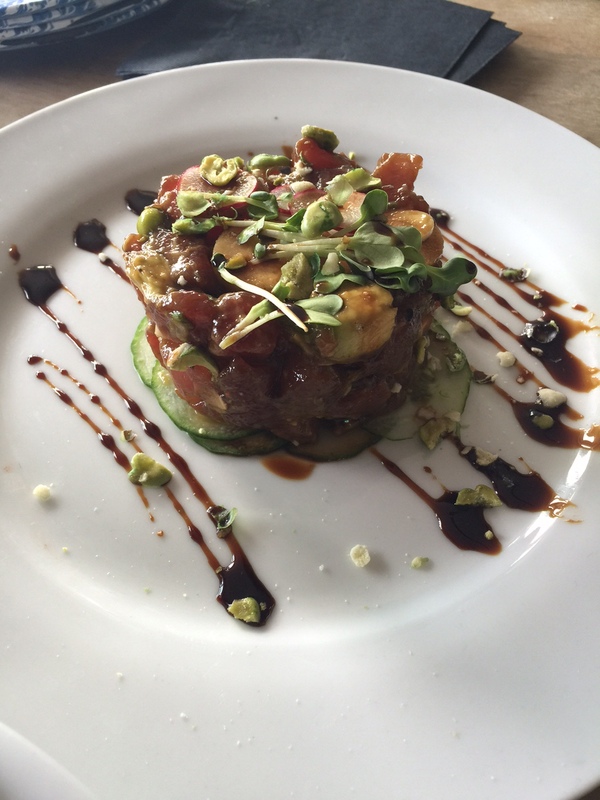 This entry was posted in food and tagged #CAicecream.